All students deserve outstanding teachers, year after year after year. This is the basic principle upon which The Effective Educator was founded. A host of studies have shown that teachers are the most important in-school factor affecting student achievement, and that students with ineffective teachers fall far behind their peers. The chart below illustrates the dramatic results of one such study. 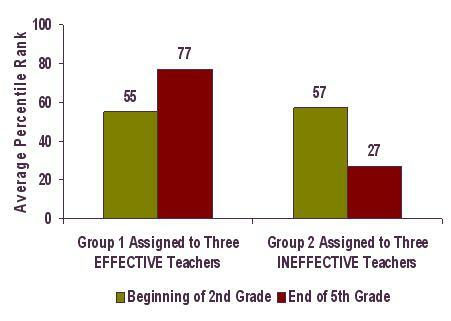 You can contact The Effective Educator directly at contactus@effective-educator.com.